This sounds interesting? How much money can you make with this? By the way, please greet Анна Чапман from me!!! Just letting you know that any government can take out Bitcoin or well any large entity. 20000, 6870's (20000 * 272 MHash/s = 5.440 Thash/s > "Network total 5.152 Thash/s" http://bitcoincharts.com/about/) is more then the current mining power of everyone. All one would need to do is just run it for a day generating bad Bitcoins and release the data and it will undo all transfers during that day. Note that custom chip manufacturing would probably be used instead of GPUs. Hmm you could use this to steal all the transaction fees and new Bitcoins. Generate good Bitcoins for a few hours when in the lead release the data. This will give you 100% of the transaction fees and new Bitcoins instead of 51%. Given one drug dealer's wallet you know every wallet that has ever paid them and everyone they've paid. So just follow the money. Given a government or ISP they could just look for what IP sends money from a given wallet and go to that house and bust the druggies or ring leaders. How to get a dealer's wallet? Just pay them and see where the money ends up. Actually you could probably figure it out just by looking at all the transactions. If miners can't communicate then generated data can't be transferred making #1 much easier. Even for a day or two. Given any of these people will lose confidence in it making it worthless. I wish Bitcoin could overcome these. Governments will want to kill Bitcoin unless they can easily tax it, but this will require Bitcoin banks and exchanges to be controlled by the governments. Which means all governments will need to agree and share, but when has that ever happened. I'm open to learning the flaws in these statements. I know I misunderstood how it worked originally by looking at the description. I was like hey there's about a 10% chance that you can undo a transfer given 10% of the computing power of the network. It's more like 1% and that's only if the person you sent to only waits for the initial confirmation and the network won't try to do the transfer again. You right about 20'000 6870. But there are a tiny problem: It's 5'000'000$ in hardware and 5MW of electricity. Custom ASIC's are not worth it - GPU is very optimal for the task, and while custom ASIC at 40nm would be a little faster, it would be dadly expensive (far far more than 5M$ for a mask set for manufacturing). ASIC's made on cheaper process (130-350nm) would not be fast/energy efficient enough. FPGA's are worse for $/W by a factor ~10. Given exponential network speed growth the job of overtaking the network is becoming more are more complex each day. Here in Russia/Belarus we had the same tax problem with WebMoney - government was unable to 'automatically' tax it, but if you have income in WebMoney it was your responsibility to declare and pay taxes on it. And if inspectors would know you have extra income, you might have problems. Another way of taxing income is after exchange on real world currency. I.e. once you get $ on your paypal - here it's controlled. So I don't see a big tax issue for govm't. schwarzwaldhacker wrote: This sounds interesting? How much money can you make with this? Oh oops the average is around 5.63 Thash/s. Going with 10% extra so 23k 6870's so 46 PFLOPs... Hmm I think I was off by a zero on that. Since the fastest supercomputer is the Tianhe-1A which is only 4.7 PFLOPs. The sum of the top 500 is only 64.7 PFLOPs (11/2010). Hmm the Cray XK6 can scale to 50 PFLOPs. It's almost possible but unlikely. Only having one 6870 it will take 144 days to generate a block at current rates. Hey should take you 12 days to generate a block. This summer would be much harder than I've thought... Even heat of 1 6950 is killing me now. Yep I have been mining since December 2010; currently doing 20+ Ghash/s. The largest known public miner is ArtForz with 55 Ghash/s, a third using 5970s and two thirds using custom structured ASICs. Scoobz: correct, $10M would give you 50% of the global hashrate. 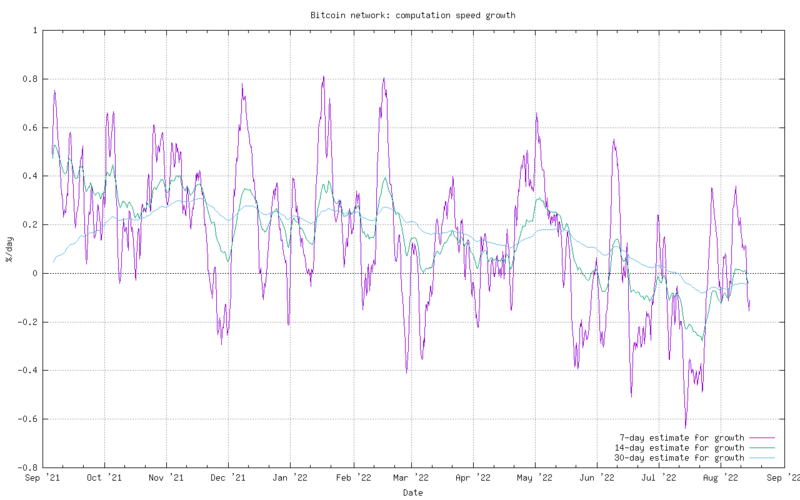 This may allow you to cause havoc for a handful of days, but the network is growing so quickly that you would need to keep scaling out, and would need to double or triple the size of this theoretical supercomputer every month to keep up (the daily growth is between 2 and 4%: http://bitcoin.sipa.be/growth.png ). You can't get a dealer's wallet by just paying him. He gives you an address. You send payment to that address. So what? It doesn't reveal the other addresses in his wallet. Best practices recommend to use a different address for every transaction. mrb wrote: Yep I have been mining since December 2010; currently doing 20+ Ghash/s. Thinking about creating my own miner with my own pool - does it have any sence at this point? It's not hard to write your own miner. I wrote mine in 2 days (it is a little faster than the fastest open source ones, on HD 69xx). Writing your own pool is more work. Personally I don't use pools, I mine solo. All nodes in the peer-to-peer network have to speak the same protocol, or else Bitcoin wouldn't work. And your options are choose from what is left or go home. Now I just have to commit a suicide... or live primitive boring live. I'm doing bitcoin mining too since a month or so. I have 2 5850's and my total speed is about 680 Mh/s and no, it's not a good idea to make your own pool, not at the current difficulty.